A lot of people ask, what can I do to make Jiffy Cornbread more moist? It’s easy, you can add a few extra ingredients for the perfect moist cornbread. 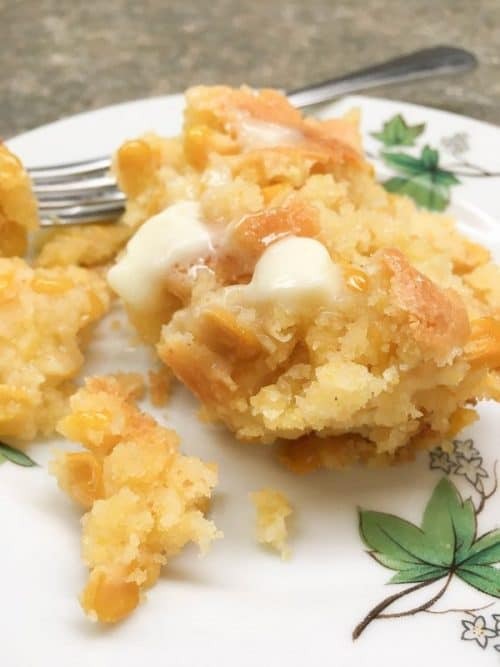 Jiffy Corn Muffin Mix is a wonderful treat. You can make it with or without sugar to get a different flavor. Cornbread is a delicious side at any meal. If you’re from the South, it’s on the table at most meals. It’s that good. But, I’ve made it plenty of times when it turns out dry and crumbly. There’s nothing worse than spending time baking cornbread only to have it turn out dry. 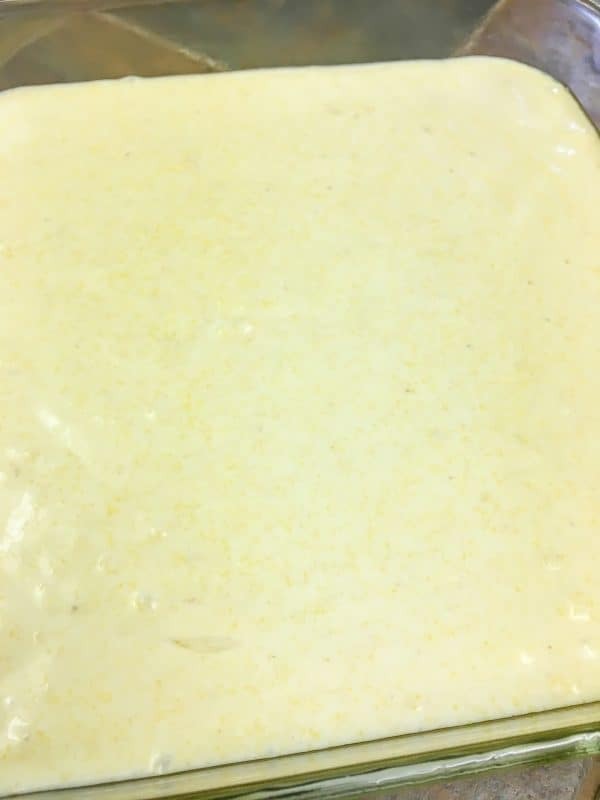 So, I thought I’d share how to make cornbread moist. Add the Jiffy cornbread mix to a bowl. 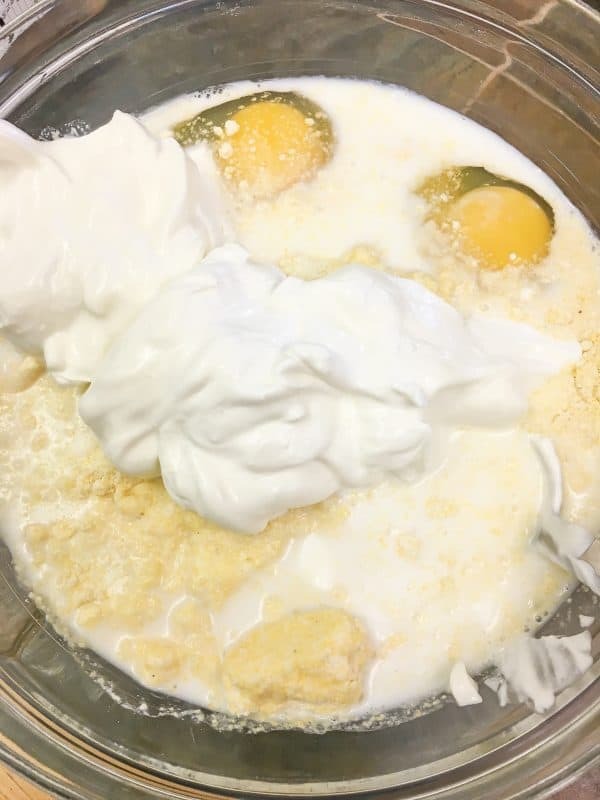 Add the sour cream, eggs, milk, and oil. 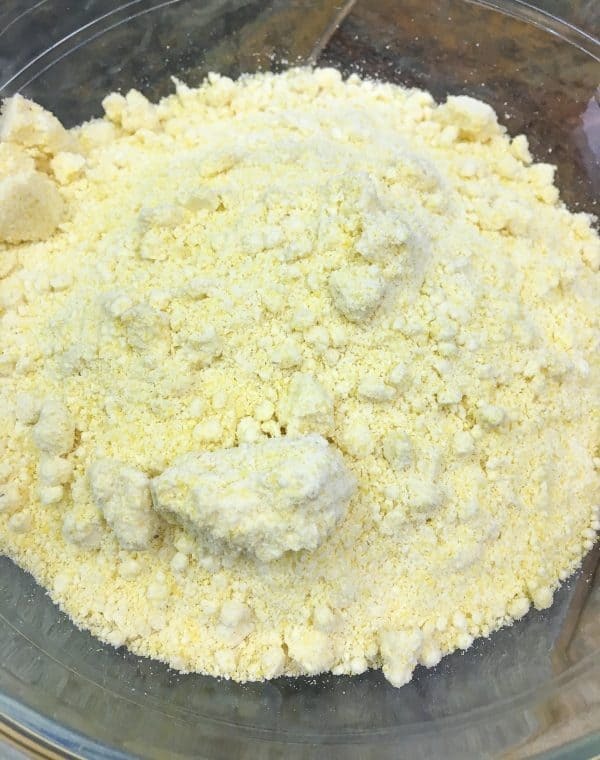 Mix together and bake for 25-30 minutes. 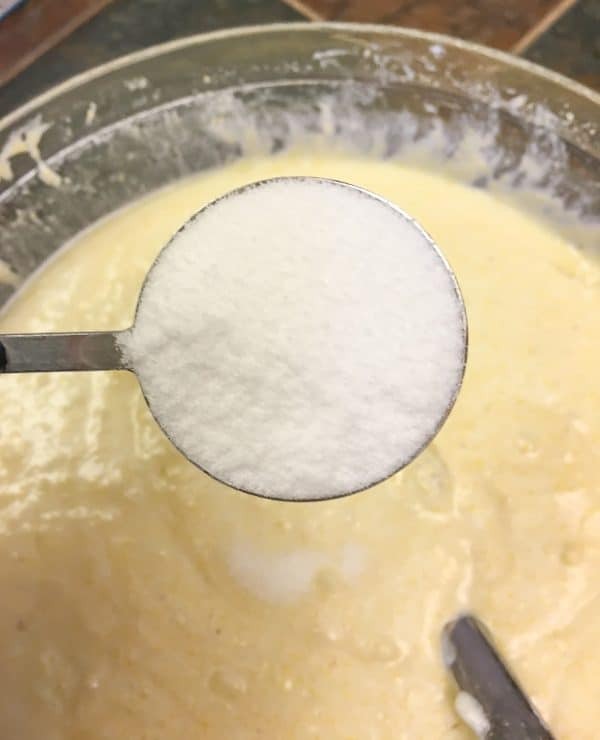 Jiffy Corn Muffin Mix is a super simple recipe, and adding a few more ingredients will only take a couple of minutes. 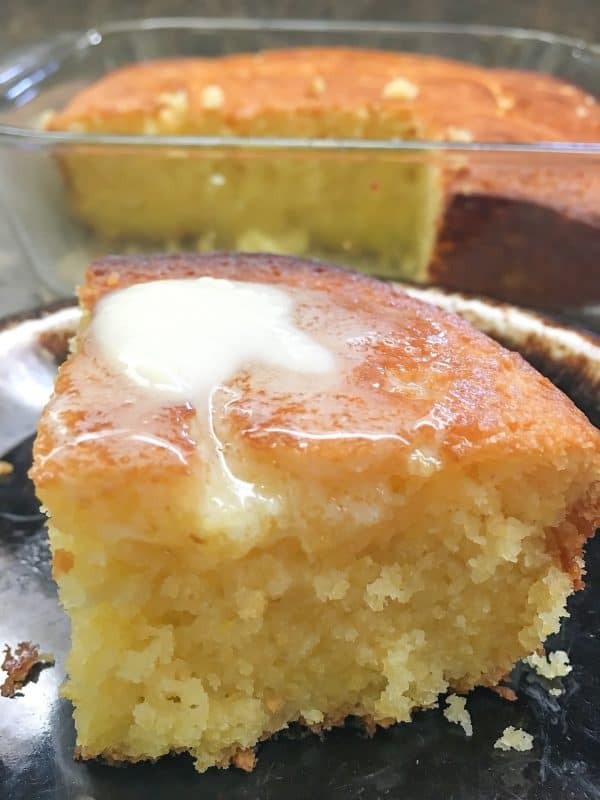 I also used sugar in this recipe to get a sweeter flavor, because I love sweet cornbread. Mmmm… But, you can leave the sugar out of the recipe and it’s still just as tasty. Add two boxes of Jiffy Corn Muffin Mix to a large bowl. I used two boxes of Jiffy Corn Muffin Mix to have thicker cornbread. You can use one box, but your cornbread will be thinner. 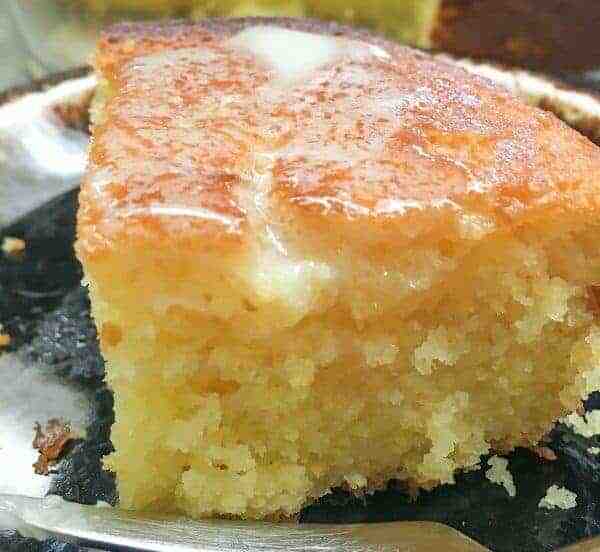 Personally, I like my cornbread thick. If you use one box, just cut the ingredients in half. I’ve made the cornbread with one box and half of the ingredients and it turned out just as moist. 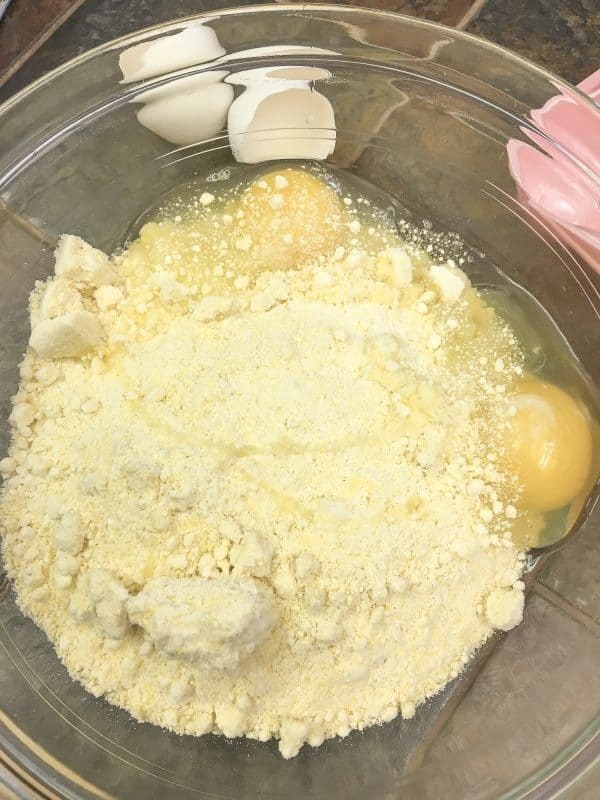 Add the eggs to the mix. One egg (two if doubling the recipe) is already part of the standard Jiffy recipe. The yolks will help add moisture to the mix. 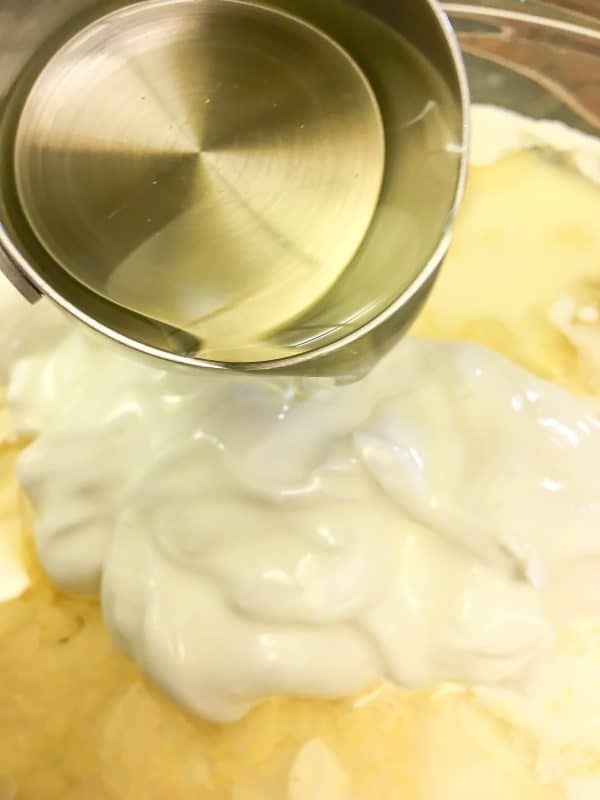 Milk makes everything creamier. I used 2% milk, but you can use skim and it will be just as moist. Sour cream is going to add a bit of creaminess to the recipe, but y’all are going to love Jiffy cornbread with sour cream. 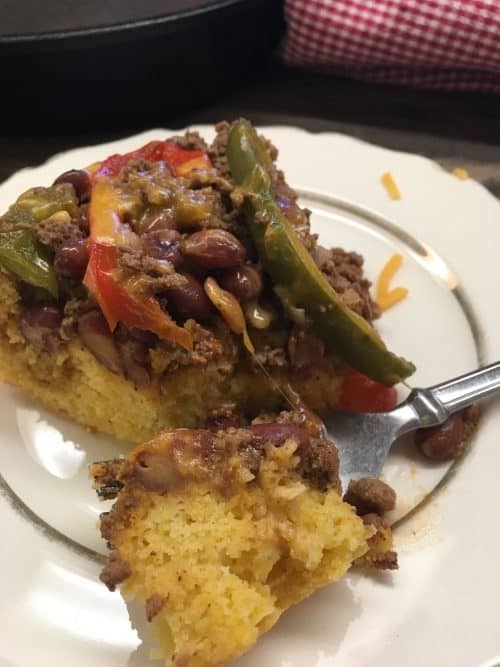 It doesn’t add too much flavor but gives the cornbread a richer taste. Vegetable oil is one of the added ingredients that is going to help add more moisture to the cornbread. Give it all a good stir, until everything is mixed together. Again, adding the sugar is an option. If you don’t add it, it won’t take away from the moisture. The sugar is only going to add some sweetness to the cornbread. If you decide to add sugar, you can add one or two tablespoons. I put two in this recipe, and it’s not too sweet. If you decide to add the sugar, just give it a good stir one more time, until the sugar is incorporated. Place the cornbread in the oven for 25-30 minutes or until a cake tester comes out clean. If you don’t have a cake tester, you can use a thin knife. Add a little butter to the top and you’ve got a delicious side dish that works at just about any meal. The kids really loved this version of cornbread. My younger son asked for seconds and wanted it with the butter on top. Usually, when the kids ask for seconds, it’s a stamp of approval. Jiffy Corn Muffin Mix is a wonderful treat. Cornbread is a delicious side at any meal. If you're from the South, it's on the table at most meals. It's that good. But, I've made it plenty of times when it turns out dry and crumbly. There's nothing worse than spending time baking cornbread only to have it turn out dry. This recipe solves that. You'll have the most moist Jiffy Cornbread around. Add the Jiffy Corn Muffin Mixes to a large bowl. 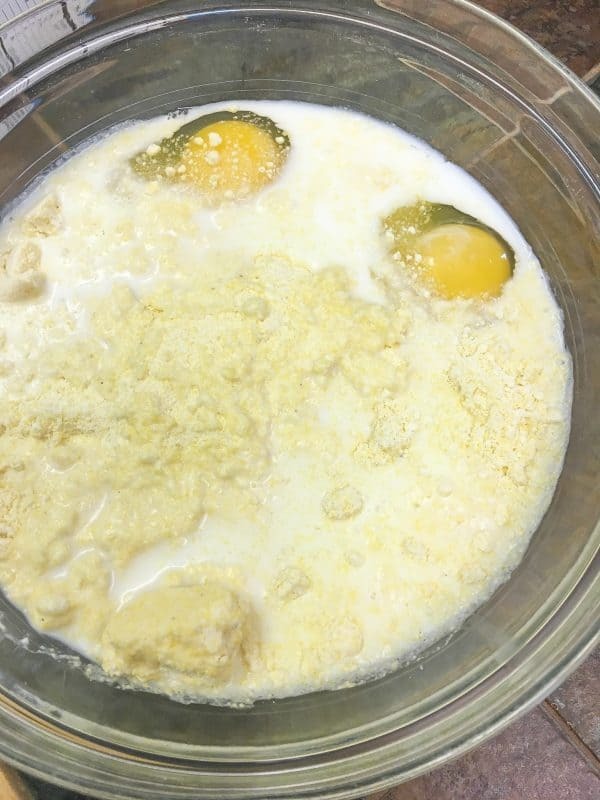 Add the eggs, milk, sour cream, vegetable oil, and sugar. Pour into a greased 9" x 9" casserole dish. First, don’t use Jiffy. 2nd don’t use 2% or skim milk, use butter milk. 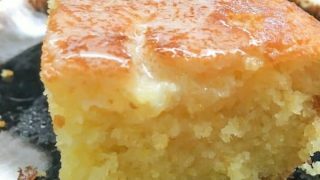 3rd sugar makes cornbread cake – not cornbread. I’ve liked all of your recipes until this one. But being born and raised in the South by a Southern Cooking Momma, Granny and whole hosts of Aunts this old Southern boy just could not let this go by the wayside. I’m so glad you visit here often! Buttermilk really makes the dish, that’s for sure. I’ll put up a cornbread recipe with cornmeal and buttermilk soon. It sounds like you had a lot of good Southern food growing up, and a great upbringing! Southern gals sure know how to cook! I’m in the south too and I like the crunchy kind out of a black skillet. That being said I like a cakey cornbread sometime too. My recipe is for a box of Jiffy cornbread mix and a box of Jiffy yellow cake mix. I’ve been making it that way for years. Hi Morgan! I think the crunchy kind out of a black skillet is absolutely delicious, too. The combination of the cornbread and cake mix sounds intriguing! Have a good Sunday!